NEED A LIQUOR LICENSE IN NEW YORK? Let our qualified attorneys get it for you in a professional, affordable and expeditious manner. We are highly professional and experienced attorneys, specializing in the restaurant and bar industry in New York City catering to all legal requirements related to food services such as obtaining liquor licenses. Hiring a specialized and experienced liquor license attorney will save you money and will be a strong asset to your business. The attorneys listed on this website concentrate in providing the highest quality legal services to the restaurant and bar industry and they do so while offering very competitive rates. They have extensive knowledge and experience within the foodservice industry which enables them to meet the unique legal needs of your establishment in a professional and competitive way. The NYSLA implemented an attorney self certification program which has enabled attorneys to get liquor licenses in under one month! Call one of our attorneys to find out if you are eligible for this program. Representing clients for liquor license violations. Forming, maintaining, and dissolving partnerships, corporations and LLCs. Negotiating and drafting commercial leases, private placements, business plans and investor agreements. Drafting restaurant Employee Manuals and policies. Obtaining liquor licenses, cabaret licenses and sidewalk café permits. Drafting and negotiating all agreements for the purchase and sale of restaurants. Defending against employee and customer discrimination and sexual harassment claims. All civil litigation arising out of vendor, partner, employee, and customer disputes. Mark B. Stumer & Associates, P.C. 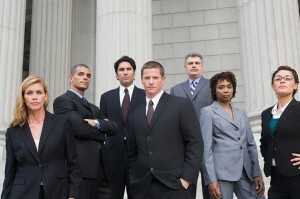 A Qualified NY Attorney will respond to your inquiry within 24 hours. Attorney Advertising Copyright 2019 NY-Liquor-License.com All rights reserved.